SAN FRANCISCO--(BUSINESS WIRE)--Jun. 16, 2016-- Visa Inc. (NYSE:V) today announced a series of initiatives to help accelerate EMV chip migration for merchants. Visa has streamlined its testing requirements, amended and simplified the terminal certification process, and committed to investing further resources and technical expertise in a manner that can reduce timeframes by as much as 50 percent. Visa is also making policy changes to help limit exposure to counterfeit fraud liability for merchants who are not yet chip-ready. While the U.S. migration to chip technology is a significant undertaking, tremendous progress has been made to-date with over 300 million chip cards in market and 1.2 million merchant locations now accepting chip cards. An average of 23,000 new merchant locations become chip-ready each week. Despite the success to date, a migration of this size takes time and hence many merchants still require help to cross the finish line. Before a merchant can turn on a new chip terminal, it needs to be tested to ensure it works properly for the merchant and cardholder. Chip technology can be implemented in different ways based on the unique needs of a merchant, and therefore, different merchants need to be tested in different ways. The more complex a merchant’s point of sale environment, the greater the number of tests. However, Visa has streamlined its testing requirements to significantly reduce the complexity, time, and cost of implementation. By way of example, a national grocery chain recently followed Visa’s streamlined approach and completed development, testing, and certification months ahead of schedule. Going a step further, Visa will provide acquirers greater discretion to determine the appropriate level of testing required to ensure a merchant’s solution is ready. Acquirers know their merchants better than anyone, so providing acquirers with the commercial flexibility to self-certify their clients will further reduce certification wait times for solutions that acquirers are confident are ready. Visa is also exploring a system for acquirers to share certification test results with each other to avoid testing duplication. That is, if a certain merchant configuration (e.g., restaurants with specific hardware and software) is known to consistently work with one acquirer, then other acquirers should be aware of this and take it into consideration as they make their decisions. Visa will increase its investment to support both acquirers and the value-added resellers (VARs) that develop the software to power chip terminals. Visa funding will be available to help acquirers with any specific resource constraints they may be facing, as well as to help VARs pre-certify their software solutions in a manner that will significantly reduce the subsequent testing at acquirers by up to 80 percent. In addition, Visa will provide hands-on support to VARs who may need technical information, education, consulting, and training. A dedicated team of Visa experts will be available to provide direct support in the form of webinars and direct one-on-one conversations, as needed. Historically, issuers have been responsible for the full cost of counterfeit fraud that takes place at a merchant. 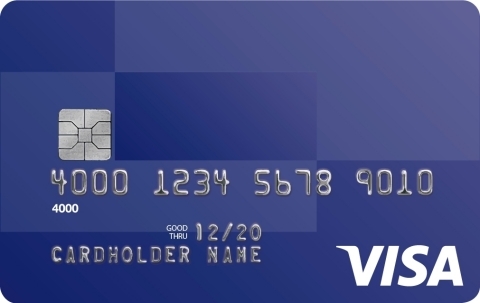 In 2011, to support the migration to EMV chip technology, Visa announced a liability shift that became effective in October 2015. With this change, the cost of counterfeit fraud is the responsibility of the party – either the merchant or the issuer – that has not implemented chip technology. Given that some merchants are still working to get their chip terminals enabled and certified, they may now be bearing the cost of counterfeit fraud originated in their stores. Visa’s actions today seek to alleviate the impact on merchants while they work through the transition. Visa is modifying its policies to limit the number of fraudulent transactions that issuers can charge back to merchants (and their acquirers). Effective July 22, 2016, Visa will block all U.S. counterfeit fraud chargebacks under $25. These smaller chargebacks generate a great deal of work and expense for merchants and acquirers, with limited financial impact for issuing banks. In addition, effective October 2016, issuers will also be limited to charging back 10 fraudulent counterfeit transactions per account, and will assume liability for all fraudulent transactions on the account thereafter. This reinforces the responsibility issuers already have to detect and act on counterfeit fraud quickly. These blocks will stay in effect until April 2018. These two changes together will significantly reduce the number chargebacks that merchants are seeing. Following these changes, merchants can expect to see 40 percent fewer counterfeit chargebacks, and a 15 percent reduction in U.S. counterfeit fraud dollars being charged back. For more information, acquirers and processors should contact their Visa account executive. About Visa Inc.: Visa Inc. (NYSE:V) is a global payments technology company that connects consumers, businesses, financial institutions and governments in more than 200 countries and territories to fast, secure and reliable electronic payments. We operate one of the world's most advanced processing networks — VisaNet — that is capable of handling more than 65,000 transaction messages a second, with fraud protection for consumers and assured payment for merchants. Visa is not a bank and does not issue cards, extend credit or set rates and fees for consumers. Visa's innovations, however, enable its financial institution customers to offer consumers more choices: pay now with debit, pay ahead of time with prepaid or pay later with credit products. For more information, visit usa.visa.com/about-visa, visacorporate.tumblr.com and @VisaNews.